Do you ever feel like something is missing in the parent/child relationship between you and your autistic son or daughter? Many times, the hours upon hours a week that we invest in autism treatment for our children fall short of our ultimate goal as parent: Relationship. Typically, the relationship that comes so naturally for us with our neurotypical children never seems to get off the ground with our autistic child and we are often left feeling hopeless and lost, unsure of what our next move should be. Take the first step towards building a true connection with your child, invest in Online Parent Training. Intrinsic Motivation: If you have a child in ABA, you might wonder how they will ever learn independence on a long-term scale if they have to be rewarded for every behavior. Instead of focusing on rewards, we believe in building motivation from the inside out so that the child actually wants to learn! Dynamic Intelligence: This is a powerful part of our neurological makeup and it is what gives us the ability as humans to function in everyday changing environments. Learn how we can encourage our children to develop DI and give them the ability to gain independence. Understanding Autism: The universal impairments in Autism confirmed by research & long term outcomes. Ultimate Relationship: Learn how parents play the most important role in their child’s mental development. Using everyday activities in the home, parents can help their child increase competency, become initiators, increase motivation and reduce the level of control and avoidant behaviors. Limit Setting: How setting limits and establishing boundaries with your child can lead to them developing competency. Communication Foundations: Build real, meaningful communication with your child that is not based on them parroting a scripted answer to a question. 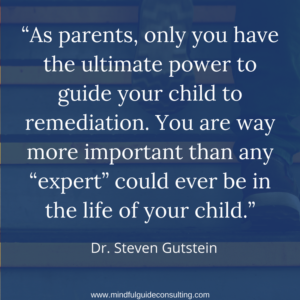 Learn practices you can put into place right now, that will will allow you to have reciprocal meaningful connected conversations with your child. To sign up to learn more about out parent training classes, go here.